Let ap3 Web Development build, update or manage a great WordPress website for you. WordPress powers 25% of all websites. Is yours built with WordPress? Let us help you. Beautiful traditional websites can also be developed. Let us put together a plan for you. Need someone to take a look at your website, your SEO or review your code. Have an existing site already? Need a better host or long term site maintenance? In business for over 17 years, ap3 Web Development is a leader in website design, programming, mobile, consulting and hosting. ap3 Web Development specializes in developing responsive sites based on the WordPress framework. We work with clients all over the country and are headquartered in beautiful Boise, Idaho. "I've worked in IT for over 25 years, and Albert Padley is the kind of professional you encounter only once every few years. He has strong technical depth at both the detail and big picture level, yet has outstanding interpersonal, verbal and written communication skills. Every deliverable, from his initial quote, through the website development and integration, through to my final, unanticipated changes, was turned around with surprising speed, and solid quality. 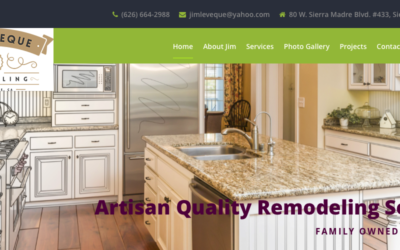 At the same time, his communication in the form of updates, great advice, and clarification questions kept up with the speed of his work, and I never wondered or worried where we were at with our business site project.